A new breed of island dining is served at Fire & Ice. Casual and sophisticated sums it up for this newest of Turks and Caicos restaurants located at the Blue Haven Resort and Marina. Start your dinner with some easy sipping drinks at the Ice Bar and end with dessert by the fire pits in the Fire Lounge. In between, the dinner menu comprises a series of fresh South American-meets-Caribbean flavors and spices that provides some delightful surprises for the palate. The Fire Lounge offers a Caribbean atmosphere at its best. Overlooking the turquoise waters and Mangrove Cay directly adjacent to the resort, the fire pits offer a perfect spot to chill under the stars while enjoying a refreshing cocktail from the Ice Bar. Coyaba is an elegantly appointed gazebo style restaurant in a lush tropical garden offering fine eclectic contemporary Caribbean Cuisine. At Coyaba (an old Arawak Indian word meaning Heavenly) we are absolutely passionate about food! The Chefs bring a continuous creative infusion of perfectionism to Contemporary Caribbean Cuisine that has made other cuisine gastronomically appealing and famous. As you are welcomed into the intimate open air dining area nestled amidst a lush tropical garden you are greeted by enchanting lights that twinkle through the foliage and soft music floating on a gentle breeze, with a very romantic ambiance. Chef Paul Newman combines flavours of the tropics in unique and sophisticated ways that will amaze and delight your palate. Experience the urban sophistication that the Gansevoort is known for at our provocative but laid back island outpost Stelle and Beach Bar. Lazy days roll into easy nights with a starlit stroll to Stelle for an intimate gourmet dinner by the pool under the palms, or in our indoor dining area. Share a romantic meal on your own private floating island in our signature pool. 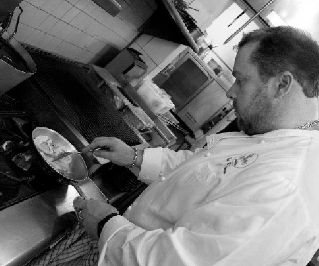 Chef Matt Doerner complements Stelles’ modern Mediterranean cuisine with local specialties like conch as well as fresh seafood such as grouper, snapper, mahi mahi, and, when in season, the Caribbean spiny lobster.g the art and science of winemaking is unparalleled. 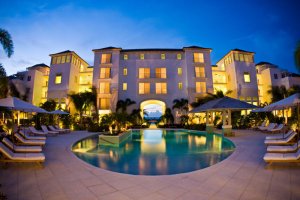 Grace Bay Club is a celebration of sophistication and style. With our extensive property, all of our restaurants and bars are oceanfront. 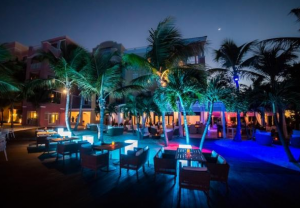 Choose from Anacaona, the most sought-after Providenciales dining experience, featuring the only gourmet oceanfront culinary experience on Providenciales to a more relaxed fare at our family-friendly Grill Rouge and Krave. The Grill Rouge will satisfy your taste buds with its global influences and modern presentations and Krave is our restaurant at The Estate offering gourmet island cuisine. The Infiniti Bar — one of the most distinct Turks & Caicos bars and also known as the World’s longest Infiniti Bar stretching 90’ across Grace Bay Club to the shores of Grace Bay beach — blends destination with inspiration, while our Pool Bar brings refreshment to your relaxation. 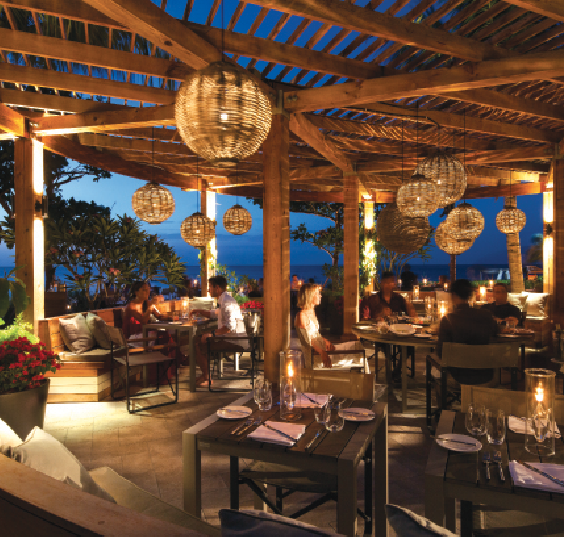 Whether you’re with us for a romantic retreat or a family-filled holiday, our range of Turks and Caicos restaurants and bars offers delicious options for every palate. The most memorable stories ever told are written in the stars. And the most memorable meals are served at our Seven Restaurant. Enjoy a unique brand of Elevated Island Cuisine inspired by the flavors of Turks and Caicos. Choose from our inspired ala carte menu or try our new 3-course Prix Fixe Menu. Dine alfresco under a canopy of twinkling stars on our palm-lined veranda or in our elegantly appointed, fully air-conditioned dining room. Dining under the stars takes on a whole new meaning when you talk about visiting Parallel 23.This is one of the most romantic restaurants around. The old plantation style home offers the excitement of an open kitchen mixed with the elegance of its courtyard setting. Contemporary chic interiors offer a relaxed ambience inside, while the shade from the beautiful Flamboyant trees makes sitting on the patio the perfect location to dine. You will find a wide variety of menu selections elegantly displayed, while enjoying a very eclectic selection of wines. 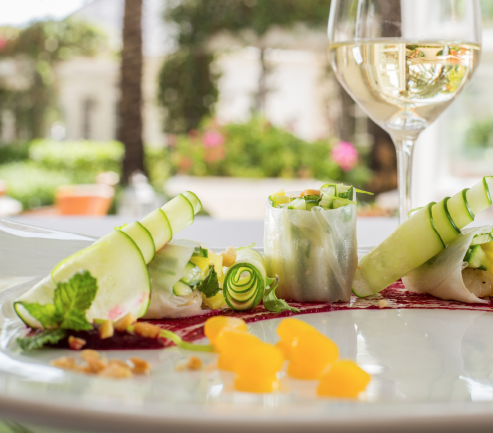 The menu features cuisine from across the world with a local flare, and is the perfect showcase for Chef Ingo Moller’s award-winning cuisine. This is one of those must visit restaurants ,so be sure to go early in your stay because once you have tasted the food and enjoyed the warm and gracious service you will want to return for another memorable evening. 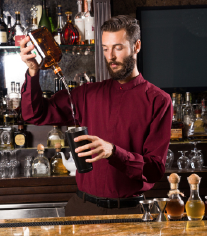 At West Bay Club, you’ll find a welcoming staff dedicated to creating personalized, handmade experiences for our guests. At our boutique resort, all suites are oceanfront. Our pool and manicured grounds provide for a place to relax and reconnect. Our Noodle Bar and Kitchen celebrates the global influences of noodles, pasta and rice, providing our chef’s fresh, Caribbean perspective on these favorite dishes. In addition, our poolside restaurant offers Caribbean classics and lighter fare for lunch and a delectable range of choices for dinner. Follow it with a tempting dessert or after-dinner cocktail and you will have enjoyed the full flavors of Turks and Caicos fare. Stix is our fresh, contemporary, beach side restaurant. Grab one of the colorful seats, enjoy a glass of refreshing rosé wines, beer or a mixed drink and nibble on an array of innovative dishes. Try our delectable coconut-coated corn on the cob, for a distinctly Caribbean taste combination. The flavors of our roasted chicken, cracked conch or bacon-wrapper fingerling potatoes are invigorated when presented on our skewers. Enjoy our fresh, tapas-style meal with your feet in the sand and your palate in paradise.